India is a diverse land and so are its customs, beliefs, rituals, culture and food. From North to South or East to West, there’s vast difference in the language, people, traditional attire, and lifestyle. Thus, India, with its varied traditions and diversities stores many unique things at every corner. And to appreciate such uniqueness Bihar is the place not to be missed. 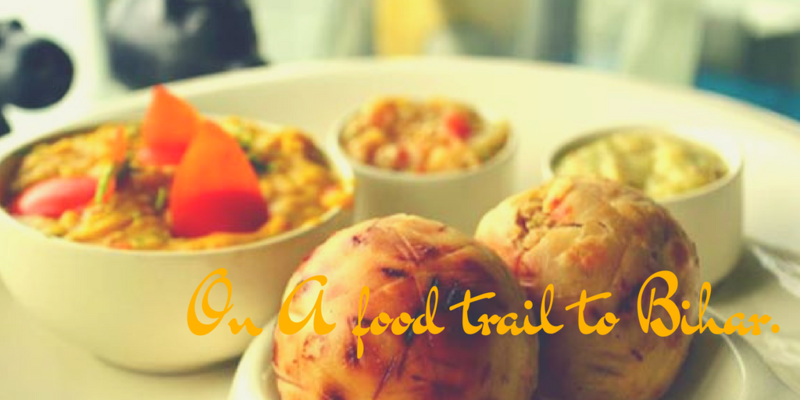 You must waste no time in packing your bags and heading towards the most interesting places in Bihar and not to forget about the Bihari cuisine every traveler must taste. Of all the Indian states, Bihar preserves the essence of the country’s earthly flavors and offers a platter of unique dishes. A state devoted to Buddhism, its food culture has been greatly influenced by the state religion. Each of its dishes has a significant importance and is a must-try for all travelers. Thus, as you venture further into the state, you shall also muddle up with its food culture. Here is a list of lip smacking, delicious Bihari cuisines every traveler must taste that will make your taste buds come back to life. Your trip to Bihar is incomplete without treating yourself with the flavor of the state, LITTI CHOKHA. One of the oldest cuisines of the country or perhaps of the world, Litti Chokha is a common man’s delight. Found mostly in the home kitchens and rarely seen anywhere else, it is a legit bihari maa kaa swaad. Littis (rounded balls with gram flour stuffing) dipped in pure ghee and chokha (mashed vegetables prominently brinjal and our good old potatoes) can be savoured at any time of the day. Its taste and health benefits could possibly captivate your unique taste buds. For life! Looking for food that is tasty and healthy at the same time? Well your search ends here. When in Bihar start your day not with “Chai” but with “Sattu”. Another flavorful indigenous cuisine of Bihar, Sattu is nutritious gram flour consumed for its health benefits and tastes heavenly. Sattu is the best way to start your day especially if you are in Bihar. There are several variations both in sweet and salty to enjoy this super healthy flour, have it as a drink or with puffed rice and sugar, make some yummy parathas or some delightful dough shots. 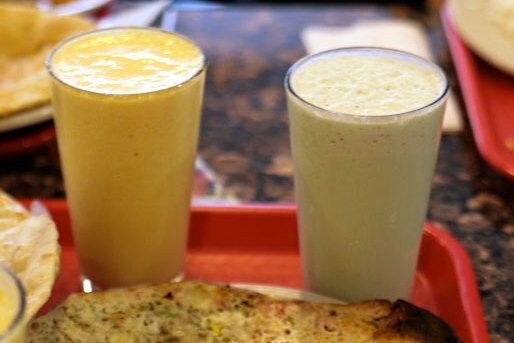 Sattu keeps you full for most part of the day. It makes you sprightly and agile. In fact, Bihari students and working professionals residing in other cities and countries also start their day with Sattu and live on it for at least 4-5 hours. Sattu totally understands your busy schedule. It works both as a quick fix meal and an elaborate warm cuisine. Isn’t it magical? A perfect tea time snack for on the go travellers. 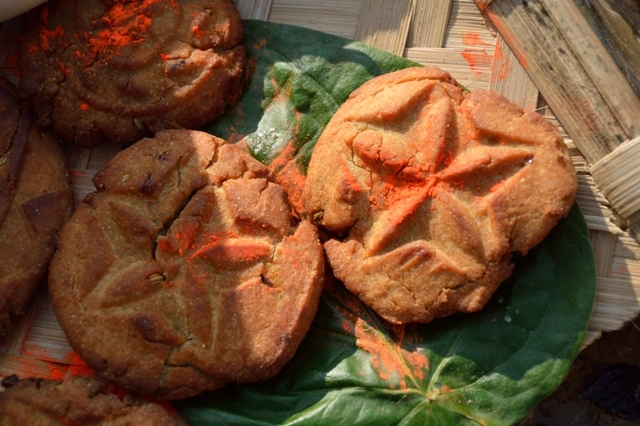 Daal peethas not only look delectable to eyes, they actually are Bihar’s ‘The most cherished dish’. When we did not have momos in India, Bihar had daal peethas, except that they are stuffed with ‘Chana daal’. Have it steamed in winters or fry it for a typical Bihari brunch, the flavor of rice coat, lentil paste and spices will just explode in your mouth. Are you a sweet tooth traveler? 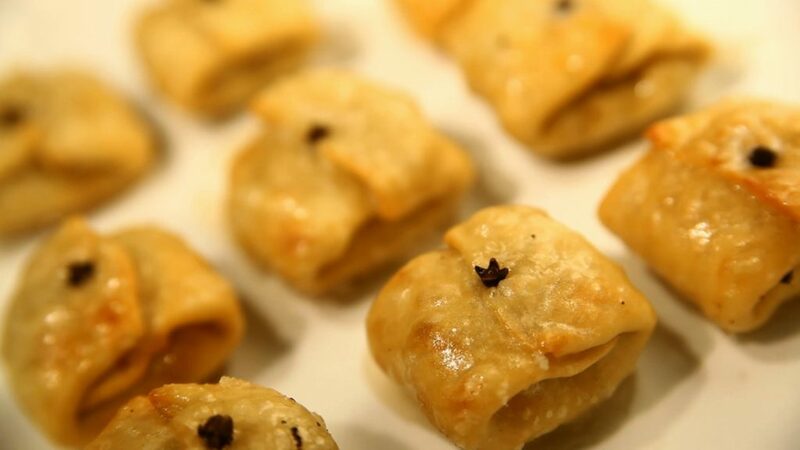 To wrap up your finger-lickin-good Bihari meals, don’t forget to have a mouthful of desi seductress called Mal Pua. 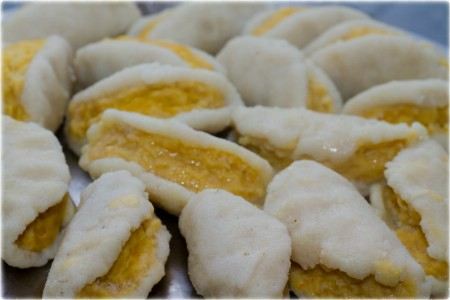 This sugary desert is a little bit like your tender pan cakes with rich dry fruits often dipped in luscious sugar syrup. It also makes for an all tradition festive platter in Bihar. 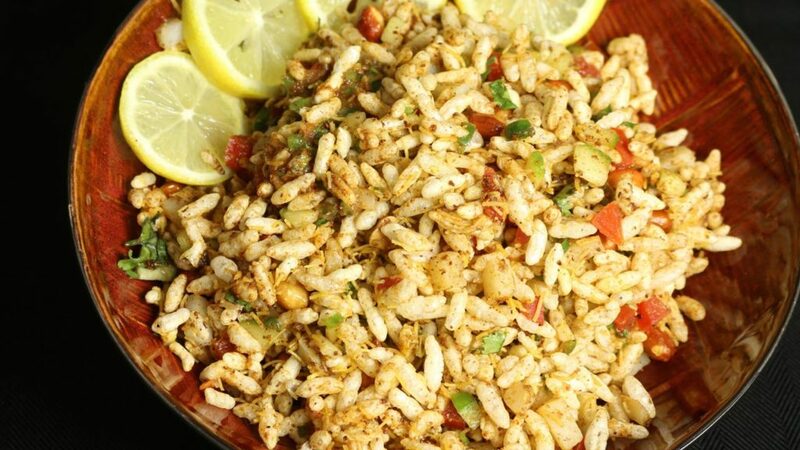 Jhal Murhi is a little combination of colorful ingredients mixed with puffed rice with a splash of pungent raw mustard combined together to create fireworks in your mouth. 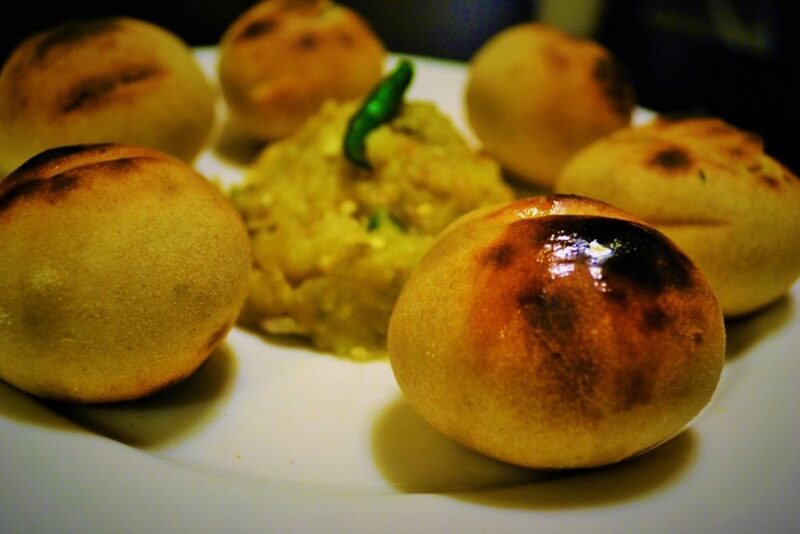 Later this light snack went on to become popular on the streets of Kolkata and even in London. Don’t forget to have this tangy blast on your way to Bihar especially if you take the rail route. If you happen to stay with a Bihari family on your wonder trip to this wonder state, they will surely pamper you with a healthy breakfast of ‘Dahi Chura’. Keeping aside long list of health benefits, the mixture of curd and beaten rice with an added sweetness of sugar or jaggery can be the perfect kick start of your adventurous day. “Khaaja nahi khaaya toh Bihar kya aaya”. This saying is famous not without a reason. 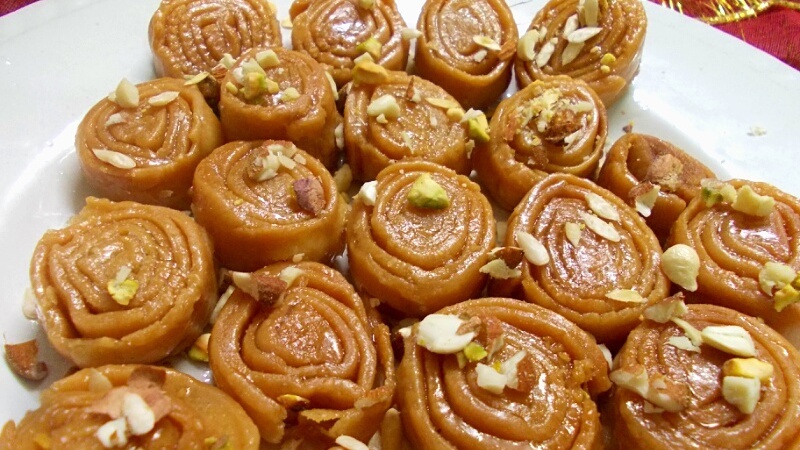 Khaaja is a bestseller sweet dish made with layered dough. These crispy croissants are so addictive that you just cannot stop at one. Khaajas are embedded with little surprises of dry fruits all set to crackle in your happy mouth. If you are a health freak traveler but love dessert, Tilkut is just what you might need. These round discs made of Sesame seeds and jiggery shall make you feel things. Don’t forget to get boxes of Tilkut surprises packed for your dear ones especially when you are on a Buddhism tour to Gaya. Coz’ you know what? Gaya tilkuts are the best in the world. 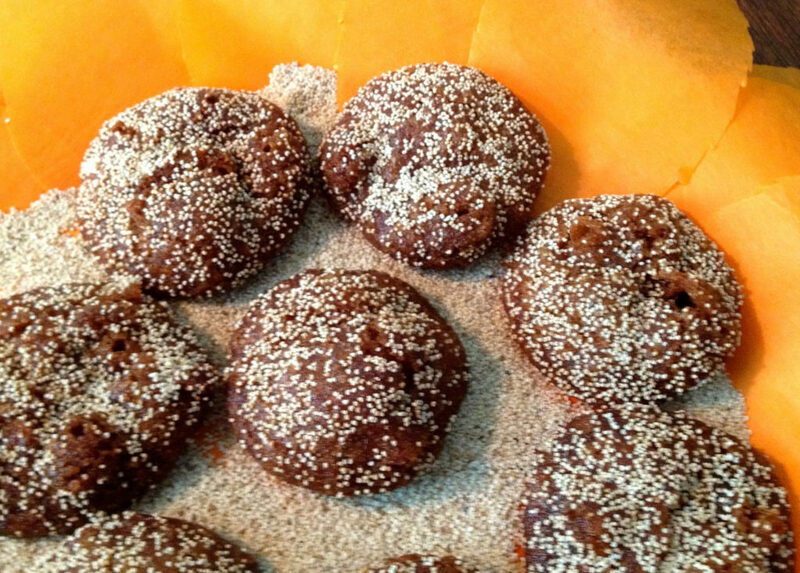 These little pop laddoos made with fluttery poppy seeds has both health and taste benefits. 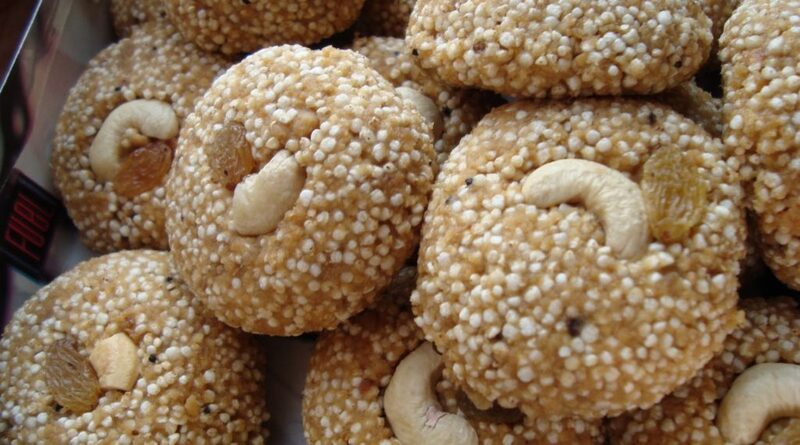 It is Bihar’s trademark sweet in happy winters. Well… you got to stop counting calories while digging into a platter of Ghee splashed ‘Anarsas’. 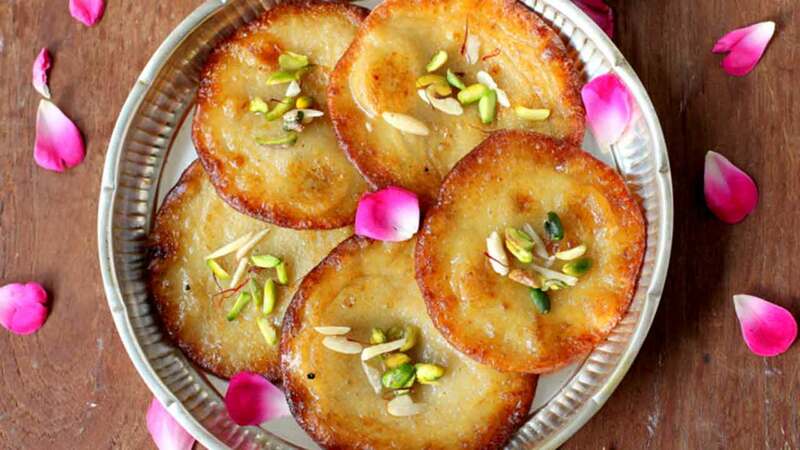 This dessert with a crusty outer layer is also popular in Maharashtra. 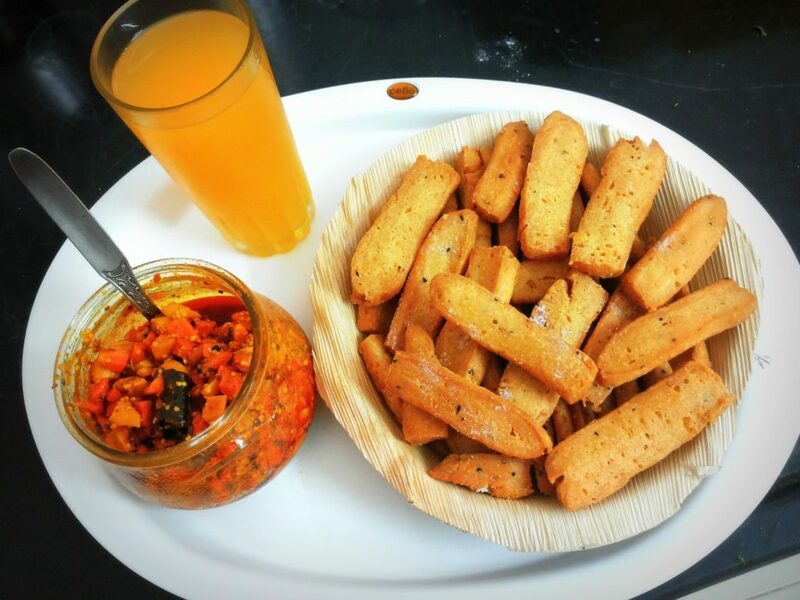 Neemkis are the salted Bihari fries made with some love and all-purpose flour. It can be your travel best friend. Pop it on a solo road trip or offer these little patakhas to win a girl over. If you have a box of neemkees handy, you can snap off boredom within seconds. Guess what, it can be stored for days together. So if you are traveler exploring the state this life saviour will render you hungry. If your traveler best friend is a Bihari and he says that he hasn’t carried ‘thekuas’ along, he is lying! Thekuas are a way to pamper your sweet tooth. This particular dish is not only special but is greatly venerated by the people of Bihar owing to its association with ‘Chatt festival’. Women in Bihar love to customise their Thekua preparation with their own designs. Its true food and fiesta in this state is a way of life. 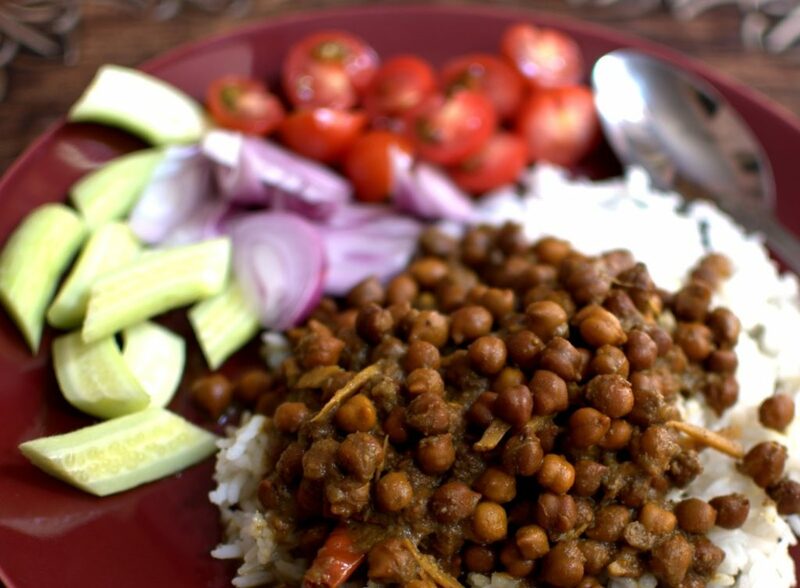 Black peas are one of the favorite delights of Bihari people. These black peas are boiled in thick spicy gravy. This mouth-watering dish serves as a main course to be savored along with parathas or plane rice. It also tastes delectable when fried in spices. It definitely is a ‘go-go’ for evening brunches when in Bihar. Launglata is yet another dessert stuffed with ‘khoya’, coconut and cardamom powder with a crispy outer layer. It is dipped in sugar syrup to make your senses go sweet. A single break will create clouds of flavorful aroma of cardamom and clove burst in your mouth. It is the best way to pamper your sweeter self with ripples of mild sugary slur combined with an absolute delight of coco-khoya mixture. 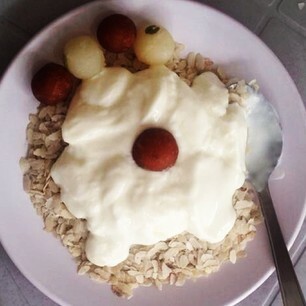 To prepare this mouth-watering ‘sweet’ heart is a celebration in itself. Get ready to dip your head into another world because ‘launglatas’ will tune all your sweet cravings. 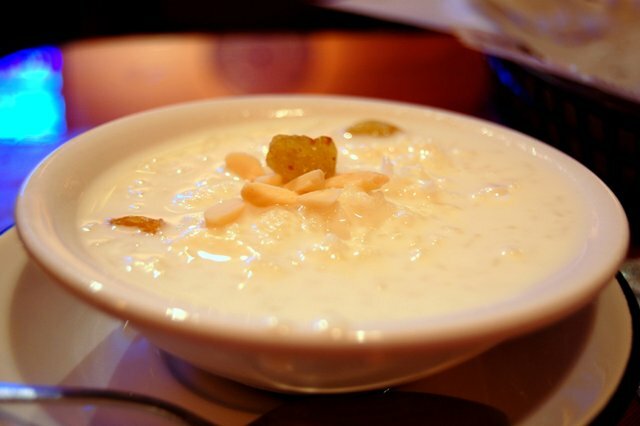 Rasia is rich and yummilicious variant of kheer made with jiggery instead of sugar. An opulent ‘meethas’ of festivity, this dish tastes best in a mud bowl commonly called ‘khapti’. It’s enriched with ‘mawa’. You will get a lot of it if you visit Bihar during the chatt festival as ‘prasaad’. Travelling to Bihar in the colourful ‘Holi’ month of March, you cannot afford to miss out on the sinful, hot and spicy, smoked gravy mutton with steamed rice. This peppery dish with some alcohol is the life of all ‘Holi’ and even New Year celebration and will raise your spirit high. You know in ‘Wassepur’ style! Who knew that Mutton Chaap from the streets of Bihar could give a tough competition to those in Punjab and Bengal? Known for a semi-gravy preparation, unlike the two states where its full of gravy; you must pounce at the sight of tender Mutton Chaaps and take the pleasure of non-veg cuisines of Bihar to a whole new level. 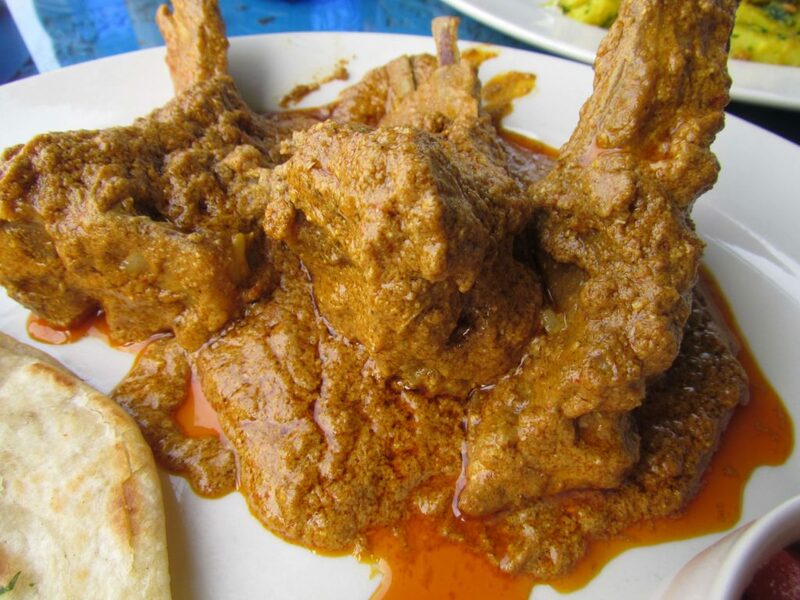 Mutton Chaap is more commonly prepared during Holi and other significant occasions. Now that you know the most popular foods to have in Bihar, why wait any longer? Pack your bags, and head for a unique destination, where a diverse food culture shall be worth your taste. I was excited to find this great site. I wanted to thank you for your time due to this fantastic read!! I definitely appreciated every bit of it and i also have you saved as a favorite to check out new information in your web site. That’s Gr8. Thanx for sharing.